Have a question for Pension Areke Chez Kayser? 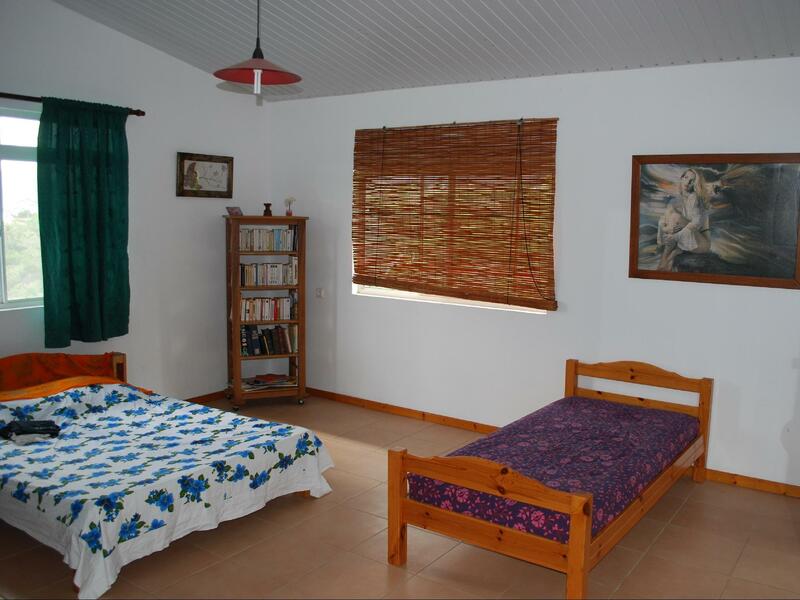 Ideal for fun and relaxation, Pension Areke Chez Kayser is located in the Hiva Oa area of Marquesas Islands. The city center is merely 1 km away and the airport can be reached within 15 minutes. Visitors to the hotel can take pleasure in touring the city's top attractions: Atuona Airport. At Pension Areke Chez Kayser, every effort is made to make guests feel comfortable. To do so, the hotel provides the best in services and amenities. This hotel offers numerous on-site facilities to satisfy even the most discerning guest. The ambiance of Pension Areke Chez Kayser is reflected in every guestroom. internet access – wireless, internet access – wireless (complimentary), non smoking rooms, balcony/terrace, blackout curtains are just some of the facilities that can be found throughout the property. Throughout the day you can enjoy the relaxing atmosphere of the outdoor pool, billiards, garden, games room. Pension Areke Chez Kayser is your one-stop destination for quality hotel accommodations in Marquesas Islands. One must really know that the place is very removed, wild and far from civilization. The Areke Chez Kayser pension offers absolutely everything; the facilities and organization of all details. You can't dream of better. It enables one to visit the tombs of Gaugin, and of Brel, the Gaugin museum and the Brel museum. The manager as well as the manageress, who form a wonderful couple, also know how to organize expeditions to the neighbouring island. As soon as you need a transportation service they take care of it, taking one to the town as well as the airport, and to go on errands needed. What is rare for a place like this is they have a pool table and a pretty little pool. They prepare wonderful traditional dishes but also good European cuisine. As expert of the Pacific world and Africa, as expert of anthrolopogy, I can only recommend to chose this pension for one of your future trips. I end by saying that the manager is a man who can also help you visit archaeological sites on the island and he knows the past history of the island very well. Charles-Edouard Duflon, Expert. Todo muy bien, Areke y los suyos te hacen sentir uno más de su família y el ambiente es muy relajante. Dieses Haus eignet sich für unkompliziertes auch alleinreisendes Publikum, welches Anschluss zur Familie und anderen Gästen schätzt. Die Terrasse wird gemeinsam genutzt, daher gibt es auch wenig Privatsphäre. Die Eigentümer bemühen sich sehr und es fehlt an nichts. Pool, Billard, Tuschfussball und weitere Unterhaltungsspiele sind vorhanden. Die Aussicht ist grandios, das Essen lecker. Gegessen wird gemeinsam am grossen Tisch. Die Lage ist etwas abgeschieden an der Bucht von Tahauku. Eine sehr steile Strasse führt hinauf auf die Anhöhe zur Unterkunft. Atuona erreicht man nach einem 30-minütigen Fussmarsch, der Besitzer bringt und holt jedoch gerne ab. Diverse interessante Ausflüge werden angeboten. Das Haus ist modern, die Zimmer hübsch und ziemlich schlicht eingerichtet mit Moskitonetzen am Fenster. Es gab Ameisen und Insekten. WiFi war ok.